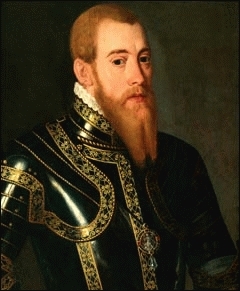 Son of famous Gustav I Vasa, Erik was king of Sweden from 1560 until 1568. Erik was one head in the big crowd of people who tried to marry Elizabeth I. Instead, he ended up with Karin Månsdotter. In 1568, Erik had to leave his throne to John III, the Duke of Finland.